"Health is inseparable from beauty." 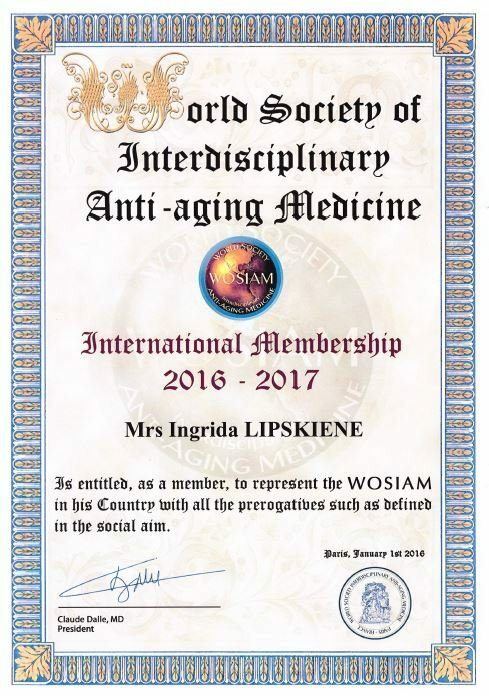 Member of International Organization “World Society of Interdisciplinary Anti-Aging Medicine”. 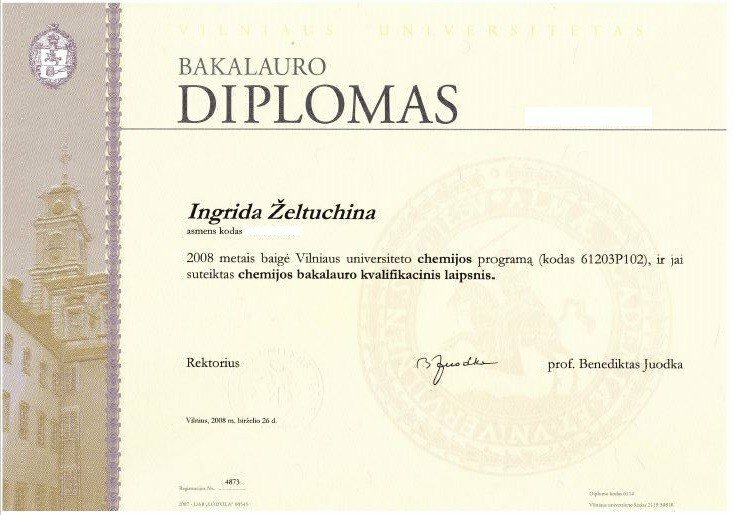 Graduated from Vilnius University Faculty of Chemistry. 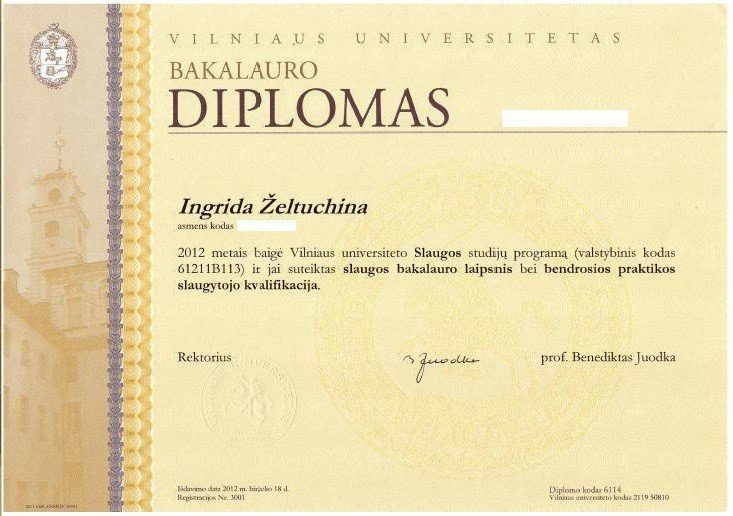 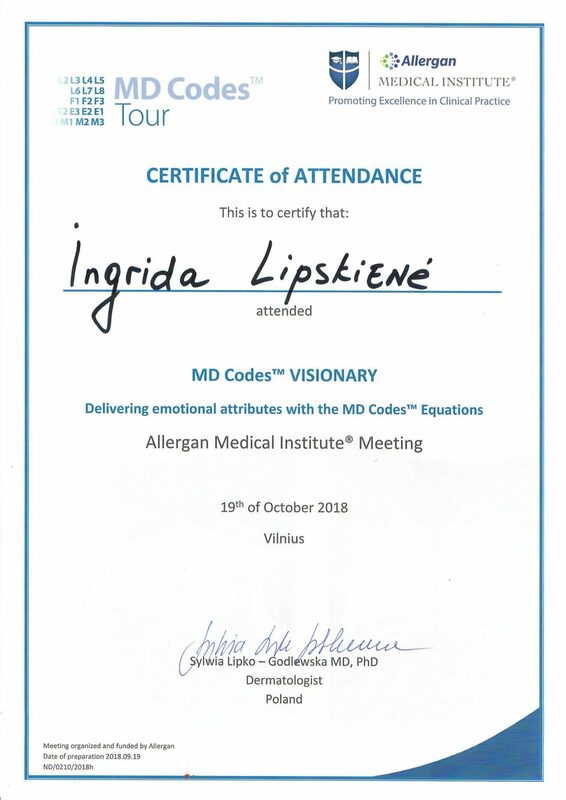 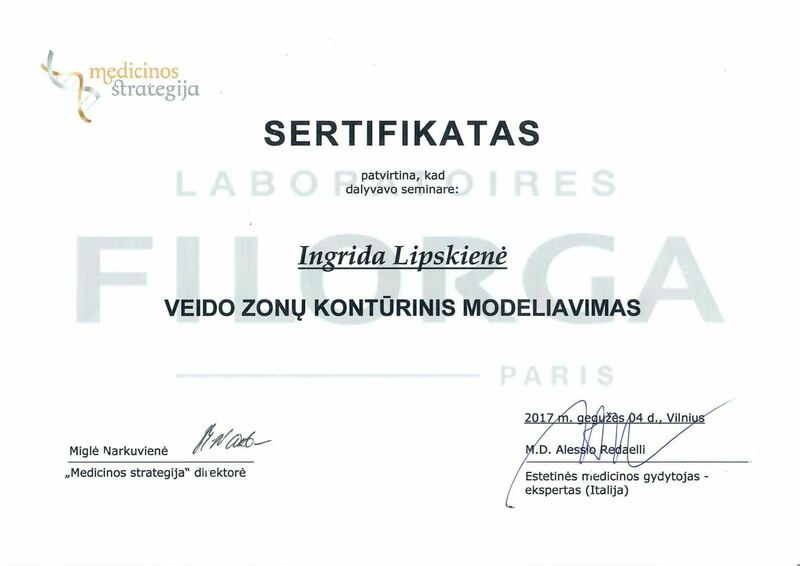 Graduated from Vilnius University Faculty of Medicine. 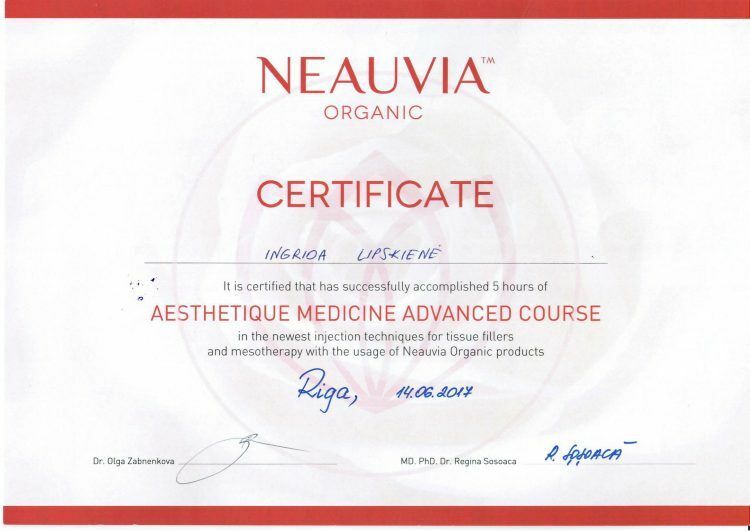 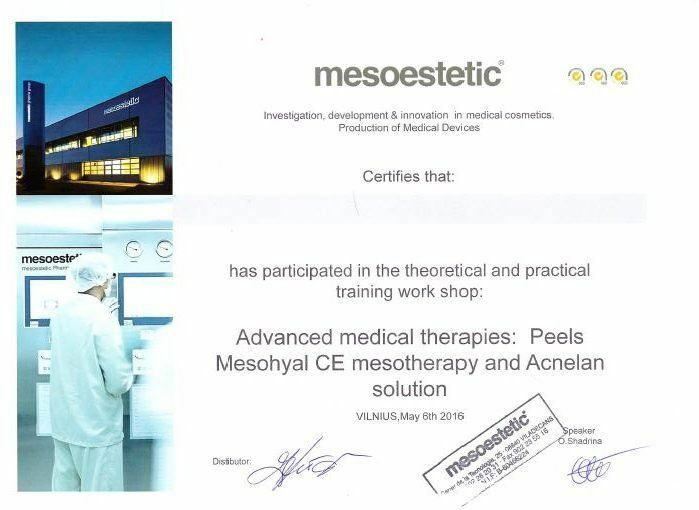 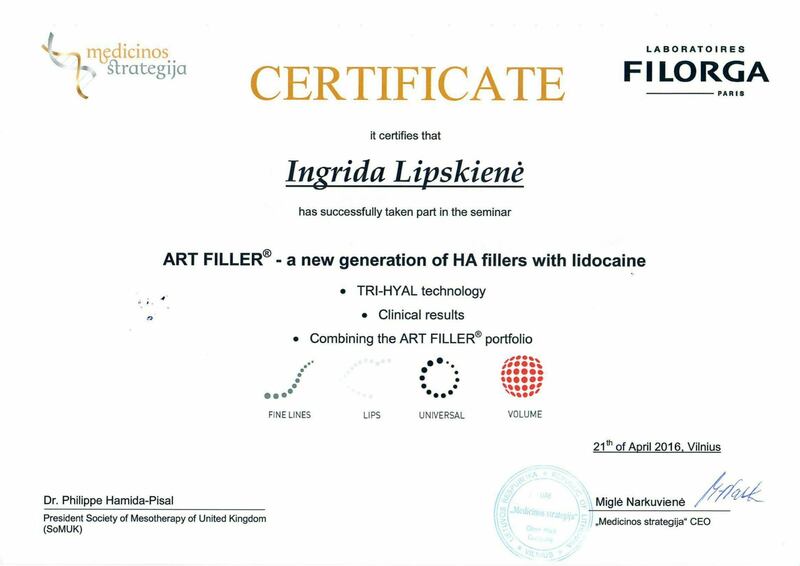 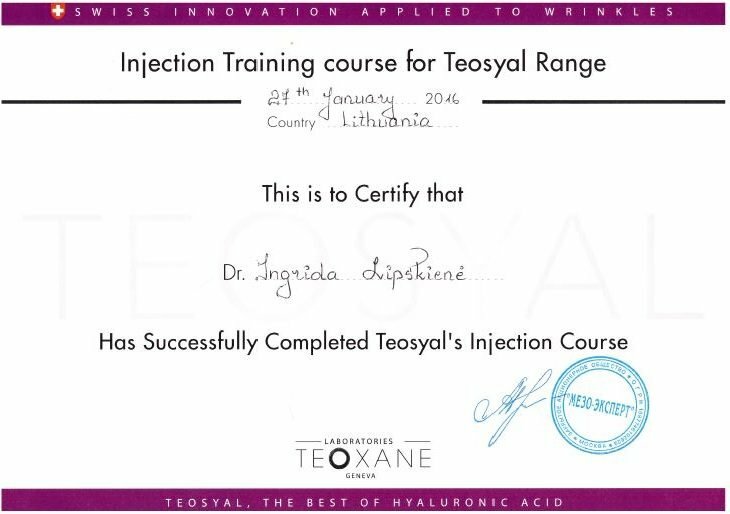 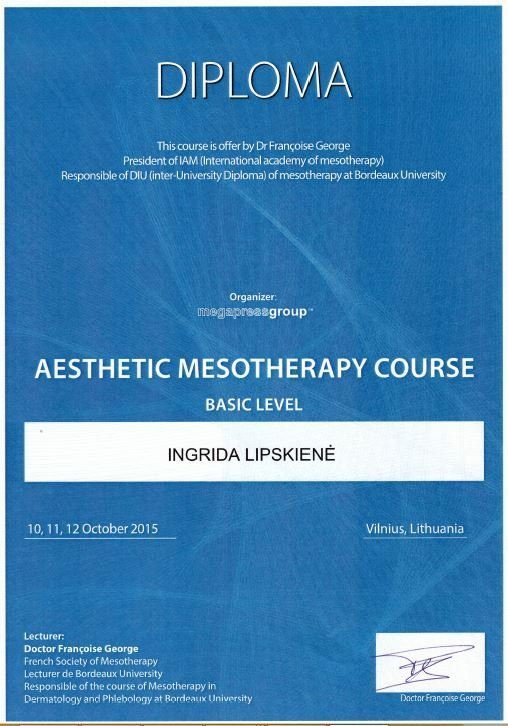 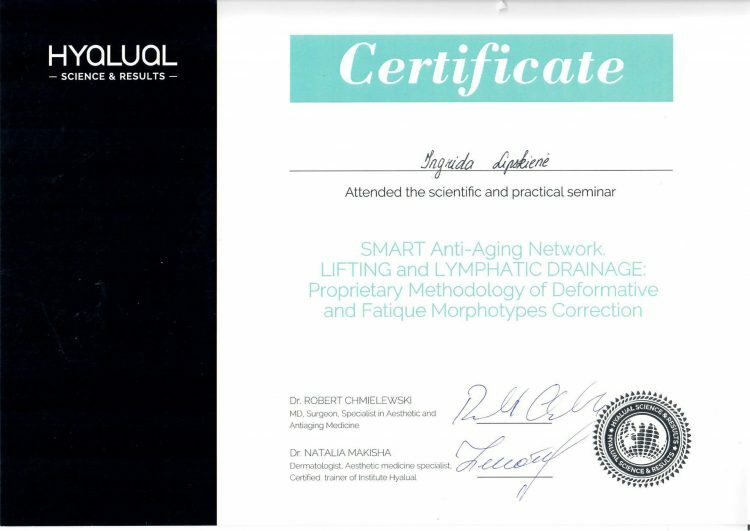 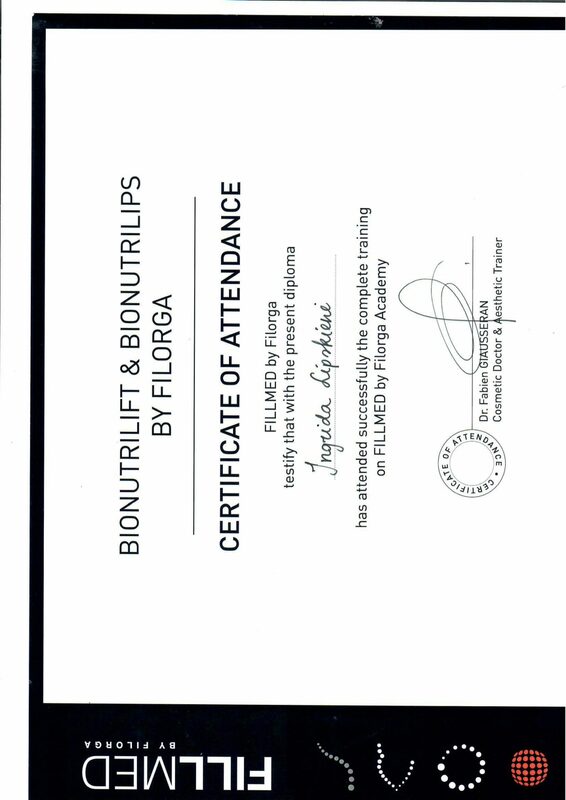 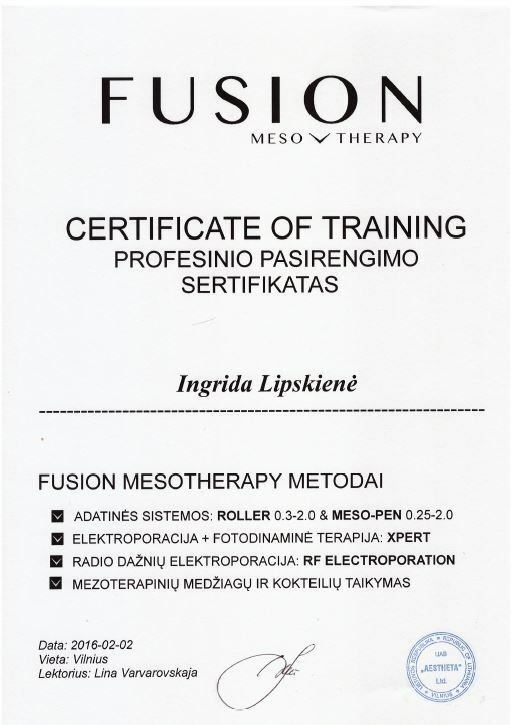 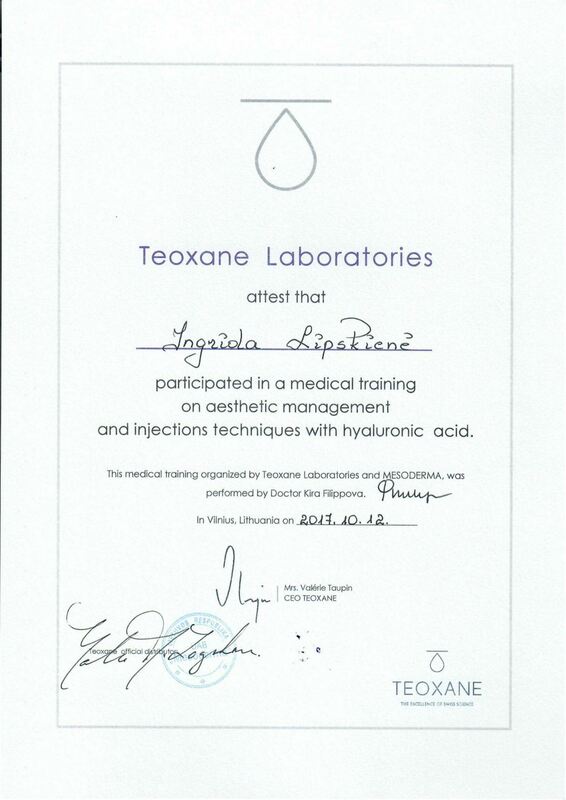 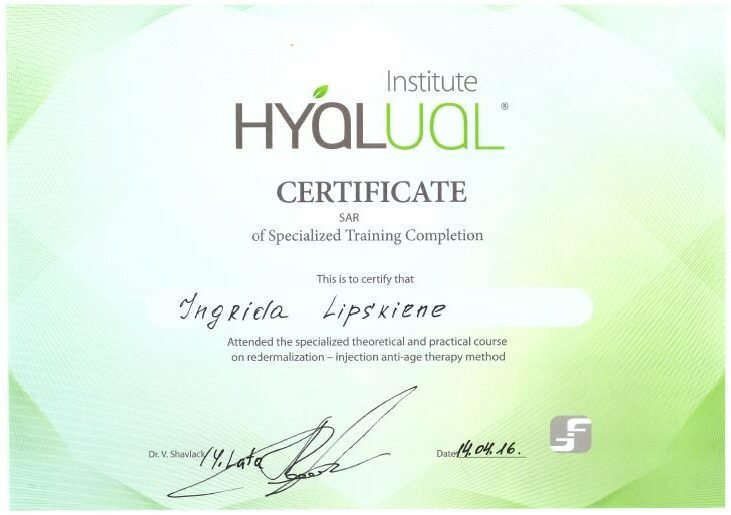 Completed the course of mesotherapy at the University of Bordeaux. 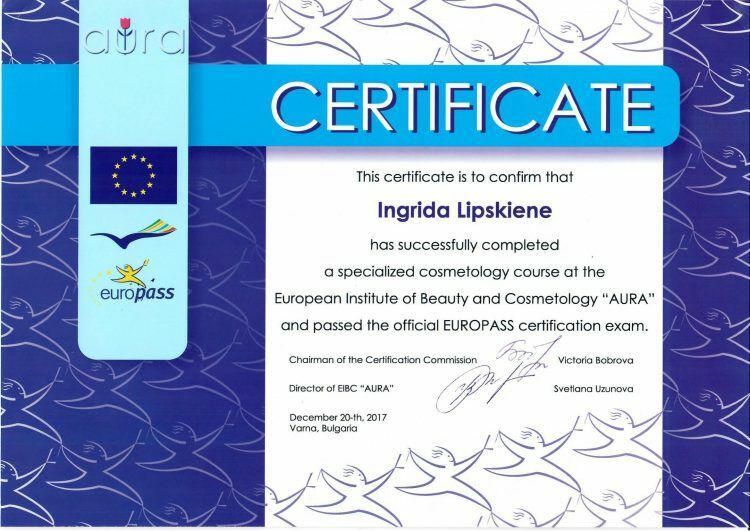 Completed European school of beauty industry. 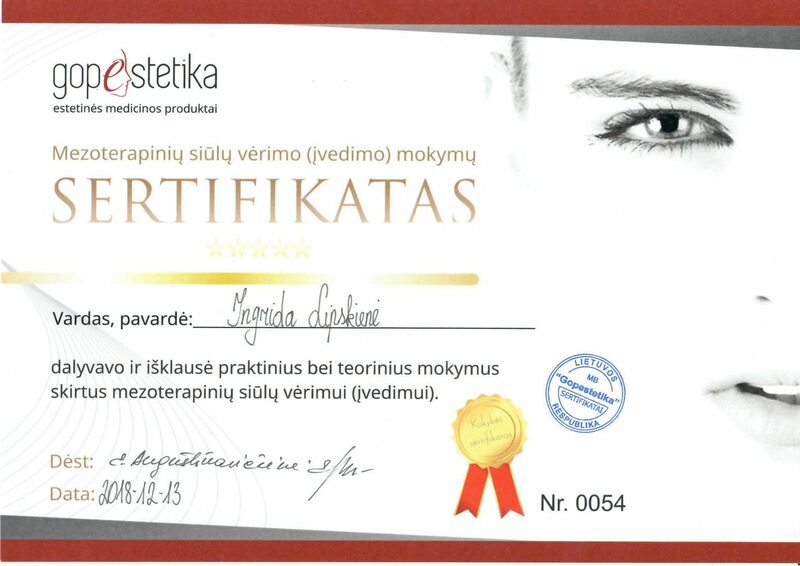 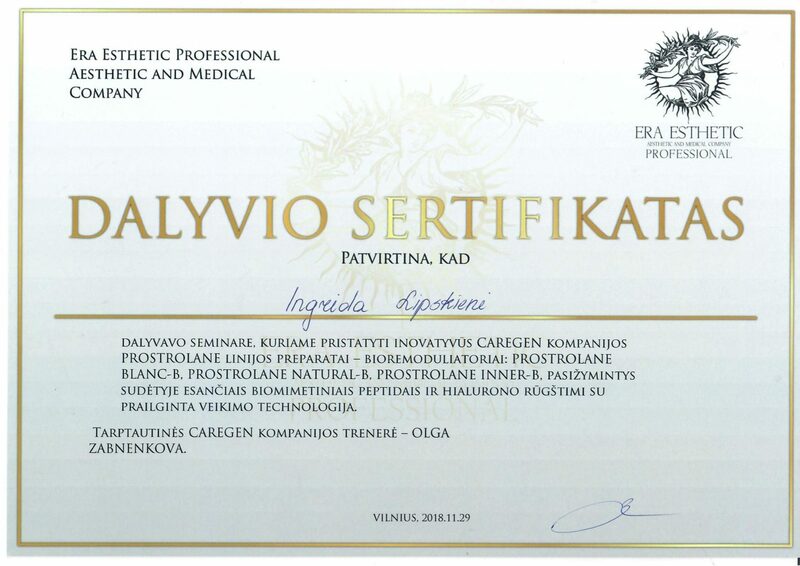 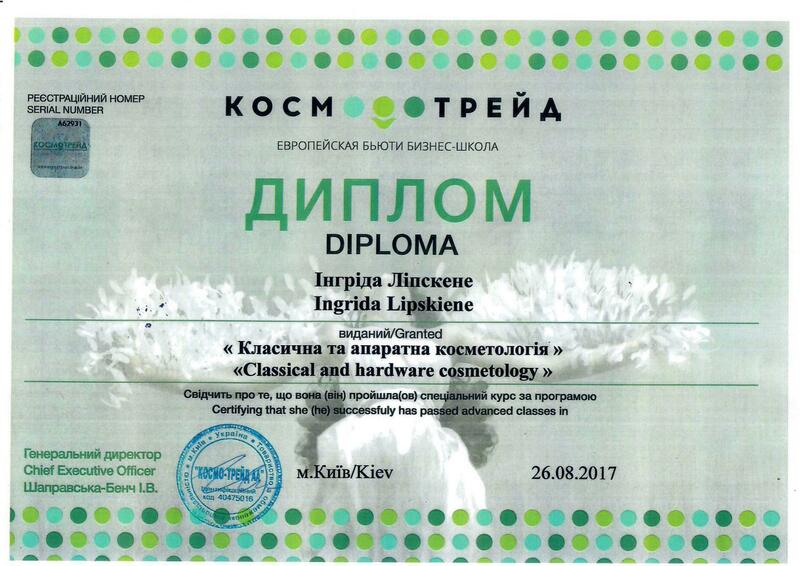 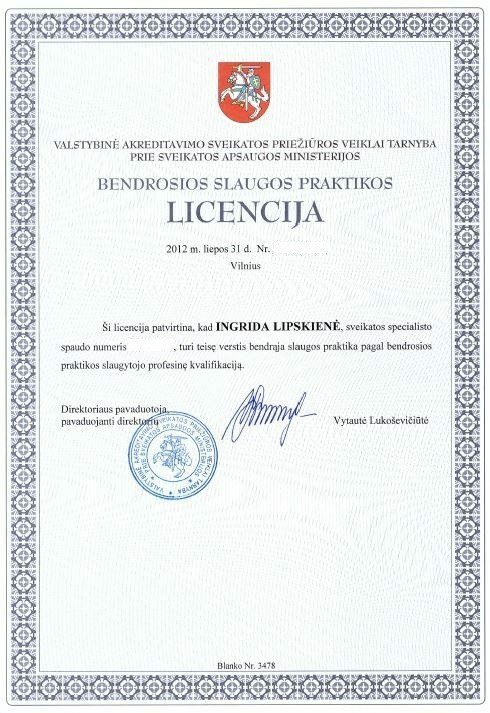 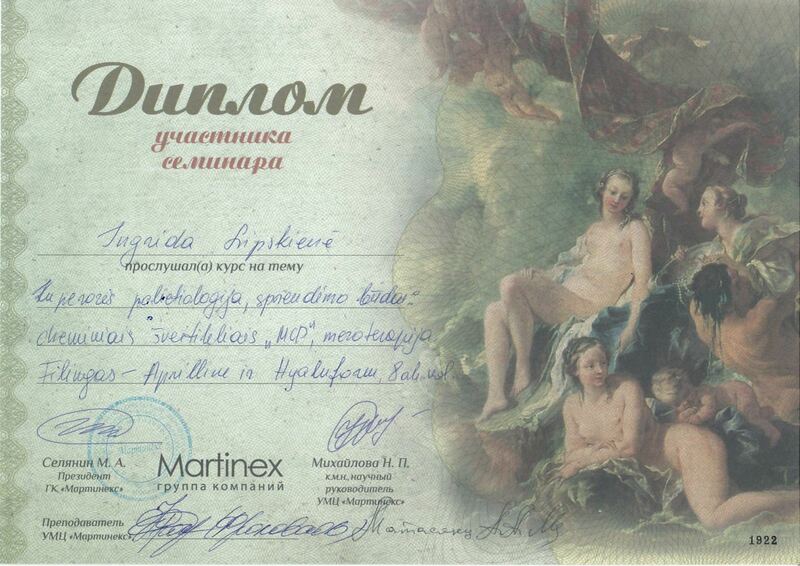 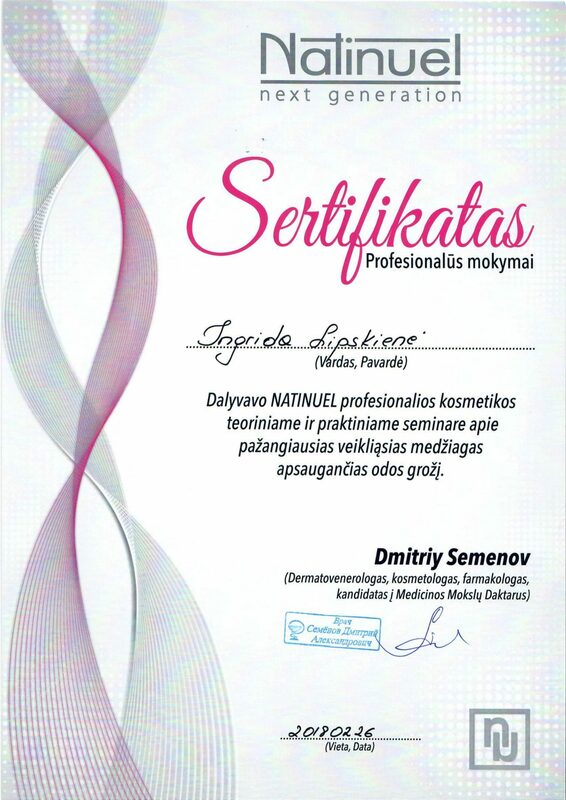 Diploma of "Classical and hardware cosmetology".